Aishwarya Rai Bachchan and daughter Aaradhya Bachchan never fail to grab attention. The mother and daughter duo were snapped at the Mumbai airport on September 7, 2018. Aishwarya and Aaradhya were seen leaving for Dubai. The Sarabjit actress looked stylish in a white tank top, black tights and a black jacket with black shoes while Aaradhya looked excited and happy and was seen in a white t-shirt, blue denims and an orange jacket. 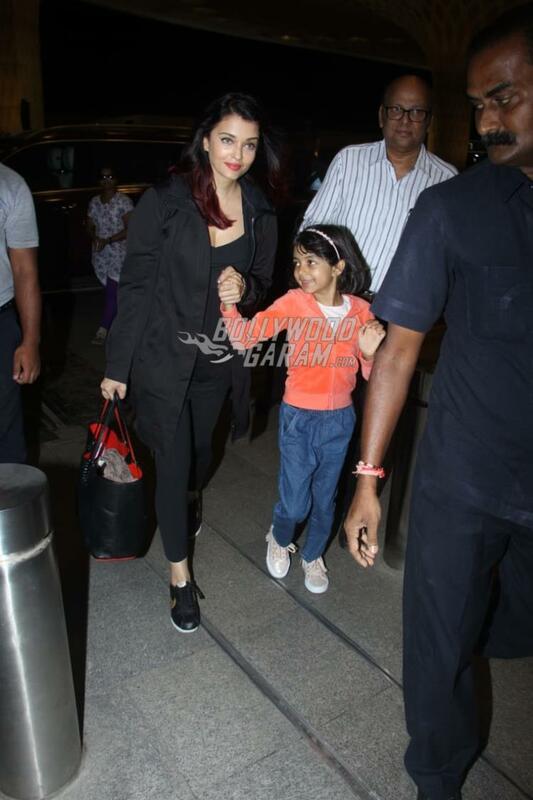 Aaradhya and Aishwarya were all smiles as they were clicked at the airport. Aishwarya Rai Bachchan also revealed that they were offered the role one and a half years back and that they had agreed on it back then.